What Are the Eight Phases of the Moon in Order? As a month passes, the moon's face changes, starting out dark, then waxing larger until the Moon is full, then waning---showing less---until it's dark again. These changes are called phases. They are regular and predictable, determined by how much light illuminates the Moon, which depends on where the Moon is in relation to the Earth and Sun. Eight phases make a lunar cycle, each cycle lasting 29.5 days from new moon to new moon. 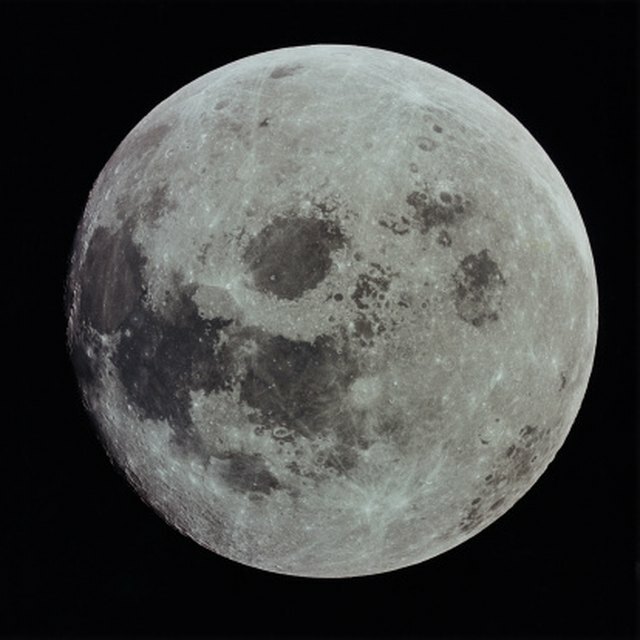 The full moon occurs halfway through, a quarter moon arrives one-quarter and three-quarters through, a crescent moon occurs before and after the new moon, and a gibbous moon comes before and after the full moon. A new moon is dark, occurring when the Moon's orbit creates a Sun-Moon-Earth order. The Sun shines full on the Moon, but only on the side that doesn't face Earth, thus, we can't see it. Crescent moons last about a week. 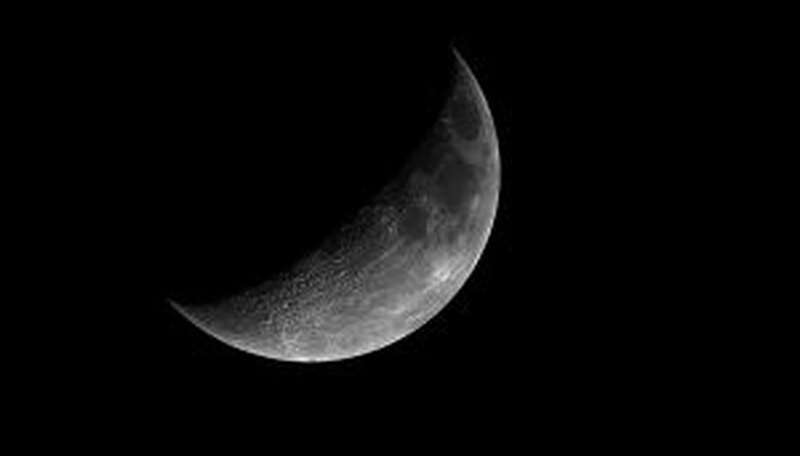 The first crescent moon of the cycle is called the waxing crescent, since it is in the half of the cycle leading up to the full moon. The other crescent is called the waning crescent, the last phase before the Moon goes dark again. The full moon happens when the Moon moves into a position that creates a Sun-Earth-Moon order. Sunlight streams past the Earth to fully illuminate the whole side of the Moon facing us. Gibbous moons, like crescent moons, are either waxing or waning, depending on whether they're in the first or second half of a lunar cycle. The waxing and waning gibbous moons are both more than half-full and each lingers for about a week. Half the quarter moon is lit up. Quarter moons aren't called half moons because, in reality, only a quarter of the Moon's sphere is illuminated. The first quarter moon has its left side lit and appears during the waxing part of the cycle, while the right-lit last quarter moon is a waning face. What Causes Phases of the Moon? Johnson, Sophie. "Different Moon Phases." Sciencing, https://sciencing.com/different-moon-phases-5372066.html. 24 April 2017.